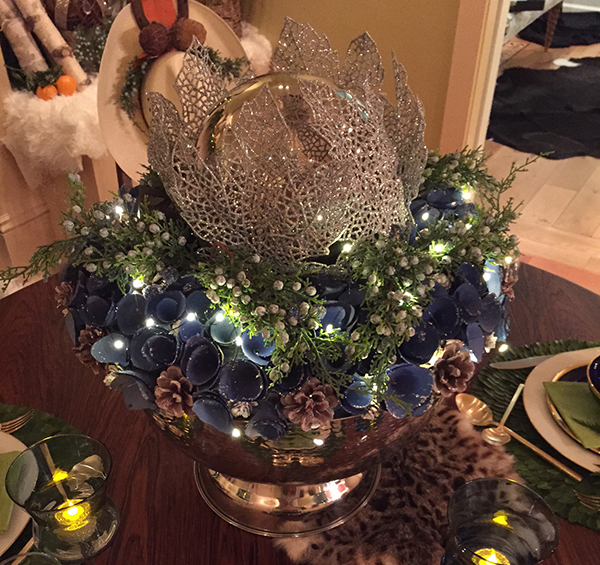 A sparkly centerpiece was created by Cathy Crist for her �High Country Holiday� room at Van Millwork�s Inspired Interiors show house in its Needham, Massachusetts, showroom. Here we are. It�s holiday time. And by now, the tree is up, cookies are baked, eggnog properly spiked, hopefully all the gifts have been bought and wrapped (stylishly, as are the packages done up with simple string, thin ribbon, white fluffy feathers, holly, and sage in our November/December�s �Local Wares�), and the family is on their way. But if you�re eyeballing your holiday decorations with some uncertainty, there�s still time to spruce things up a bit. 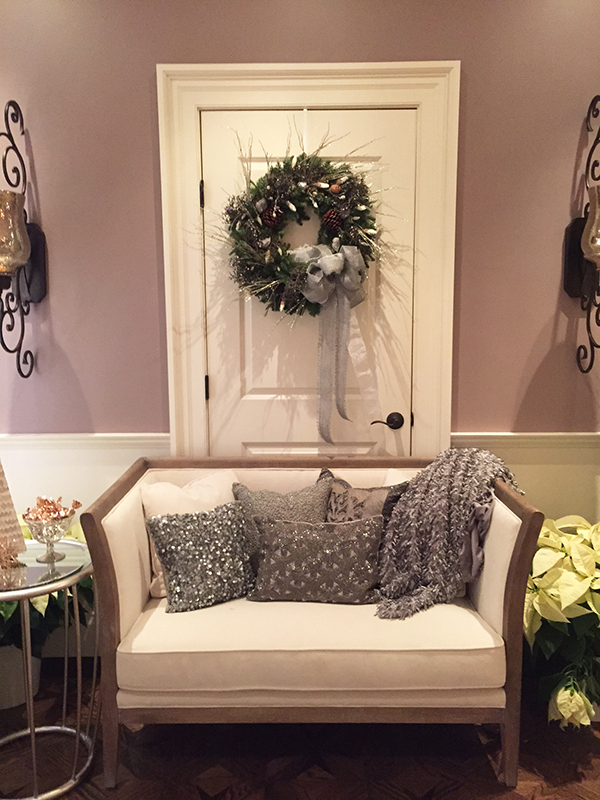 At the recent Inspired Interiors, a holiday-themed show house at Van Millwork�s showroom in Needham, Massachusetts, designers put their talents to the test and came up with holiday decorating ideas worth sharing. And the event gave back, too; it benefited the Room to Dream Foundation, an organization that creates healing environments for children with chronic illnesses. Each designer was assigned a small room and had to work with the existing trim and wall color. The room that won the Editor�s Choice award was Cathy Crist�s �High Country Holiday� in Van Millwork�s Arts & Crafts suite. With a rugged Montana winter vibe, the room was fresh, inviting, and cozy. 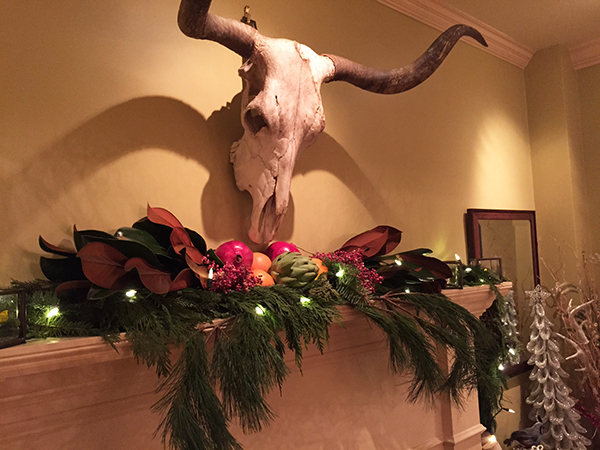 The mantel, underneath a mounted steer skull, was decorated with greenery, magnolia garland, and a mix of pomegranates, oranges, and artichokes. 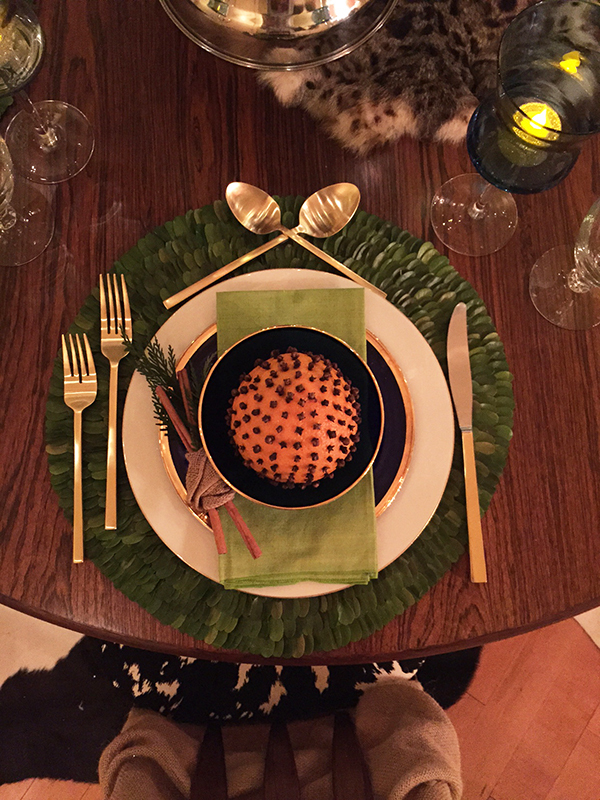 Crist, who is based in Salem, Massachusetts, also created a gorgeous tabletop place setting with an aromatic clove-studded orange at the center. Her palette of blue, chartreuse, Kelly green, orange, and gold was festive and elegant. 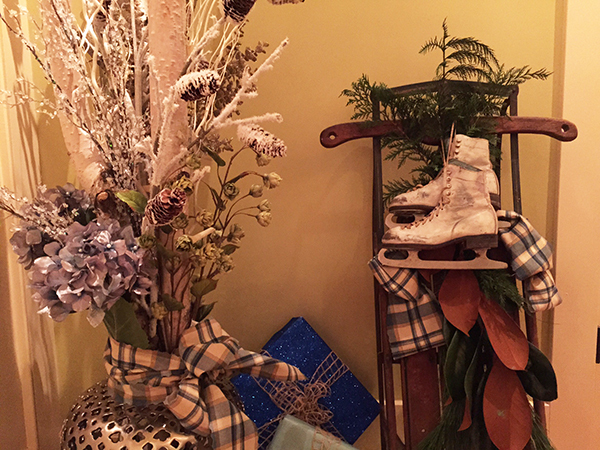 Details like old ice skates and a wooden sled, decorated with greenery and a plaid blanket, add to the cozy holiday feel. Winning the media�s top pick award, Holly Joe of Westwood, Massachusetts, brought glam appeal to her �Making Modern Spirits Bright� theme in the Greek Revival suite. Crystal, silver, roses, and a funky acrylic box filled with wood and string lights in front of the fireplace made it a fun as well as pretty space. 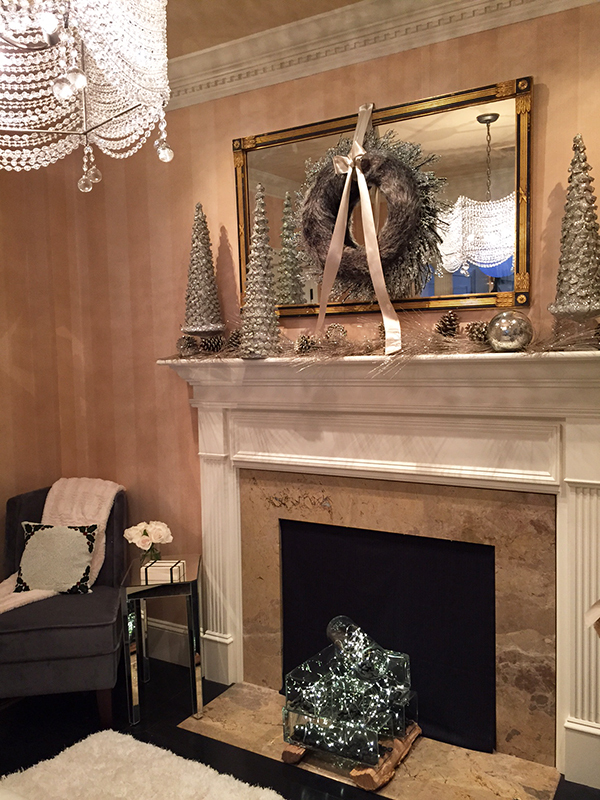 In a pinch, a good way to add some holiday decorating cheer without too much fuss is to add sparkly accents. Mark Haddad and Kurt Hakansson of Haddad Hakansson of Belmont, Massachusetts, did just that with textured silver accented throw pillows. In a corner, upright white birch logs draped with string lights brought in a bright touch of the outdoors to the space. If sparkle seems too glamorous for your style, greenery might be just the thing to ramp up your seasonal decor. In Marc Bordet�s room, the Quincy, Massachusetts, designer made a pillar of green moss, topped it with a green tree, and hung lots of holiday wreaths. 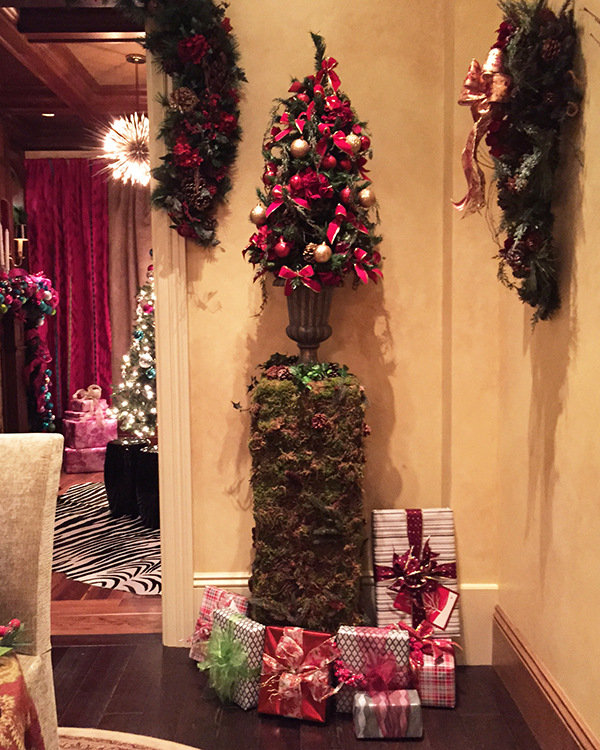 Wrapped gifts surround the pillar�s base. 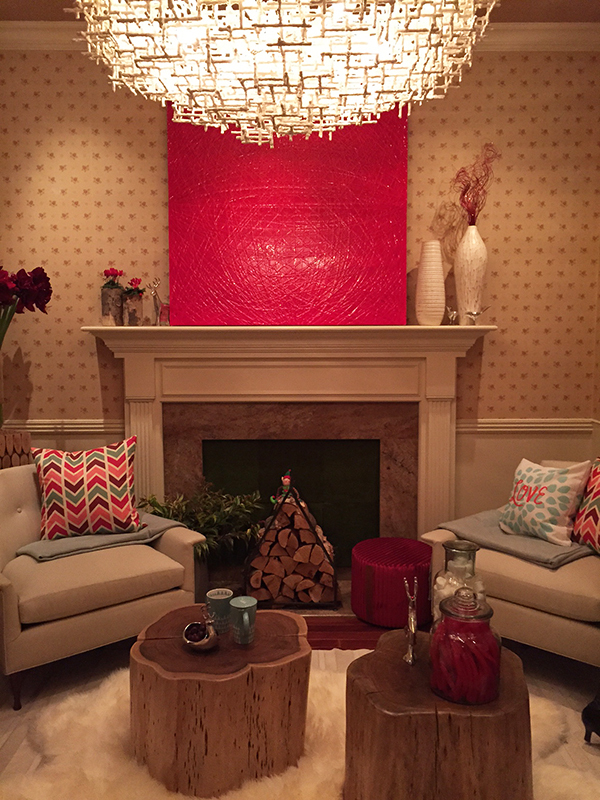 Newton, Massachusetts, designer Jennifer Palumbo�s room is aptly called �The Nest.� With a more contemporary look than the other rooms, it certainly looks like a good place to curl up and relax, with a luxurious shag run, rustic tree-trunk tables, red artwork over the mantel, and a twiggy chandelier. 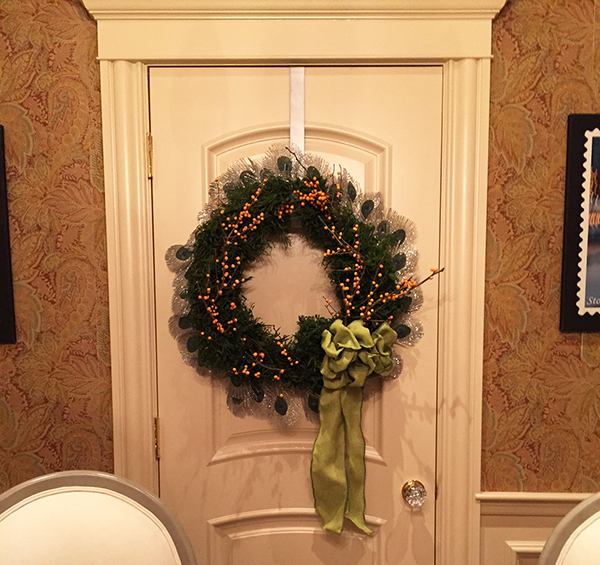 Best holiday wreath, in our opinion, goes to Nicoletta Noor of Newton, Massachusetts. She used peacock feathers, lights, and a big yellow-green bow. 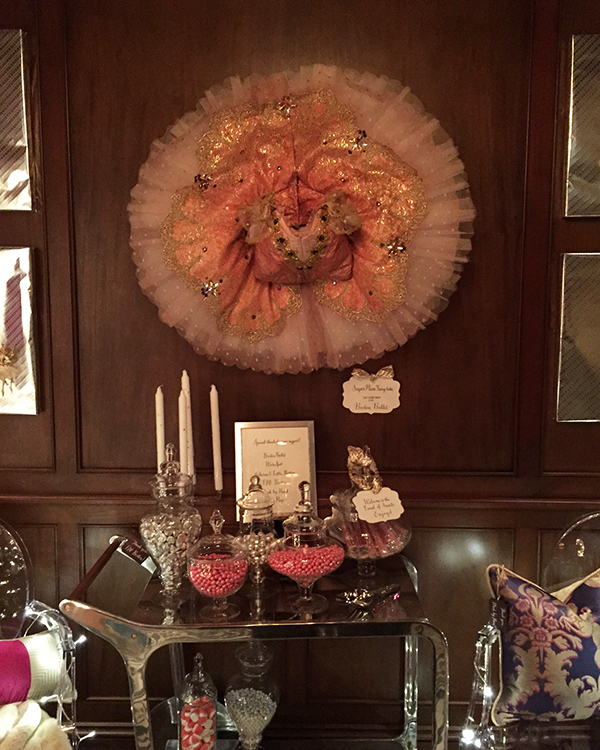 Annie Rubin of Wayland, Massachusetts, and Janna Sneider of Newton, Massachusetts, teamed up for �Visions of Sugarplums� in Van Millwork�s Library, where, in addition to decorating a beautiful tree, robust mantel, and the room�s spectacular built-ins, they borrowed a sugar plum fairy costume from the Boston Ballet � impressive. It hung on the wall above a bar full of candy. Charise Perkett Glasson of Attleboro, Massachusetts, also designed stunning Audrey Hepburn-inspired suite with a palette of Robin�s egg blue, white, silver, and black. Hope Beckman of Concord, Massachusetts, handled Van Millwork�s exterior decoration. And in the main room, where the event�s opening night gala held more than 150 guests, Beth McDougal of Boston�s McDougal Architects hung dozens of lanterns strategically from the ceiling, and decorated a tree to welcome visitors at the door. To all our readers, happy holidays from Design New England!